Cod is very firmly on the endangered list, and we’ve come to accept that its consumption comes with a healthy dose of guilt. That’s no bad thing – trawling has decimated Atlantic cod stocks over the last few decades, with numbers plummeting. That’s true of Atlantic cod – our main source – but stocks in other places are healthier because of better management and more sustainable fishing methods. Most of Norway’s cod, for example, is caught off the country’s far northern coast, in the Barents Sea, which has a healthy stock of cod that’s sustainable and growing. The best of this cod is caught between January and April around the spawning grounds of the Lofoten Islands. This fish is in its absolute prime … it’s just finished a migratory journey across the icy waters of the Barents Sea. and this experience leaves it strong, muscular and cleansed. The very best of the best is designated as ‘Skrei’, a traditional Norwegian delicacy that sells for a premium price, and it’s worth it. 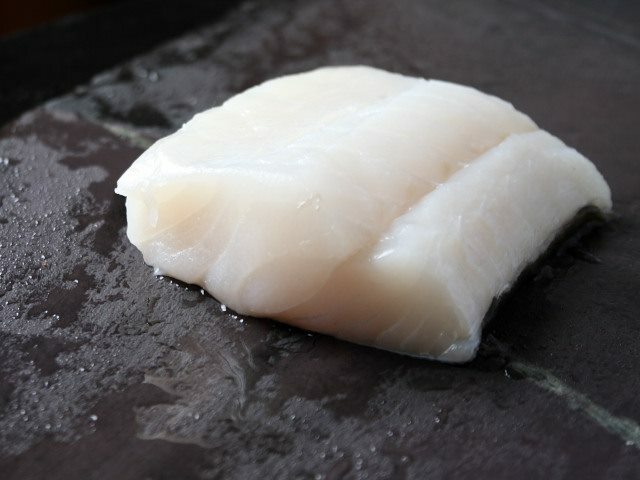 The cod is astonishing – thick, meaty flakes of beautiful, translucent white fish with thin layers of succulent fat and shiny, clean skin. The taste is fresh, clear and pure. This is what cod really tastes like. It’s the best fish I’ve ever eaten by some distance. But how is fishing cod sustainable at all, when there are such dire warnings around about a deep-sea Armageddon? The answer is simple, and two-fold. Firstly, Skrei is line caught, a more surgically precise method of fishing, and secondly, the fisheries are managed in a far more sensible way than other European waters. The Norwegians have been doing what the rest of Europe is only just waking up to for years – the practice of discarding fish caught above the legal quota was banned twenty-five years ago. Instead, all fish are landed, but only twenty-five percent of the real value is paid for over quota fish, a powerful disincentive for over-zealous fisherman. It makes economic and environmental sense for fishermen to stay within their quotas, and the result is healthy and sustainable stocks of fish species that are in real peril in other waters. 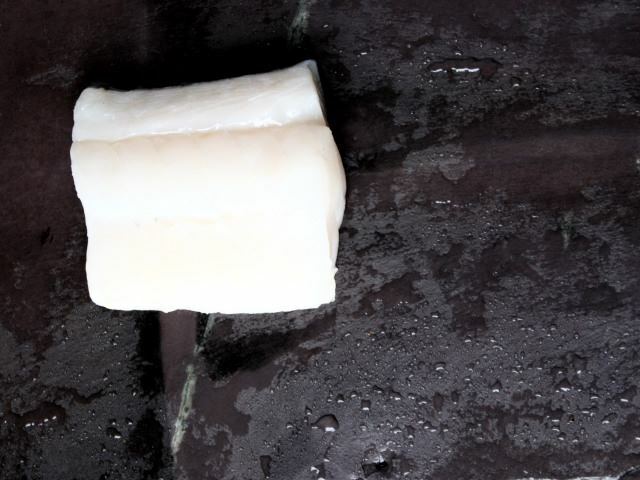 Skrei cod can be used in any recipe that you’d normally use cod or any other white fish, but it’s of such good quality that a simple approach is worth trying, to let the flavour of the fish sing. A piquant salsa verde is an excellent accompaniment against the excellent canvas that a piece of Skrei cod provides. This salsa verde is simply an obliteration of 80g of flat leaved parsley, ten basil leaves, fifteen mint leaves, a tablespoon of Dijon mustard, two crushed cloves of garlic, six anchovy fillets, and a tablespoon of capers. Blitz the lot together in a food processor with a couple of tablespoons of extra virgin olive oil until it’s all finely chopped. With the food processor running, drizzle 150ml of extra virgin olive oil into the salsa verde and watch it thicken and become smooth, like a vibrant green mayonnaise. Season with a little black pepper. For the cod, bring half a litre of water to the boil with half a peeled onion, a carrot chopped into batons, half a dozen or so black peppercorns and the juice of a lemon. Gently slip the cod into the water and bring it back to the boil, then turn off the heat, cover the pan and leave it for five minutes. Lift the cod out of the water and serve it with a generous spoonful of the salsa verde, with new potatoes and a salad on the side. It’s simple, refreshing, healthy food.